In a major fentanyl bust, authorities on Oct. 11, 2017, arrested two individuals in Davie, Broward County, who were allegedly a part of an international drug smuggling racket. Officials from the Broward County Sheriff’s Office and undercover agents of the Drug Enforcement Administration (DEA) arrested Anthony Santos Gomez and Elizabeth Tan, residents of Laurel Oaks Drive, on charges of fentanyl distribution and alleged involvement in a larger drug trafficking ring, media reports said. The names of both Gomez and Tan appeared in the 24-page indictment along with other international drug dealers from different countries, including China and Canada. The indictment was handed down by a grand jury in the U.S. District Court of North Dakota. According to the indictment, Tan, Gomez and the others used different aliases and other high-tech telecommunications devices to conceal their identities, while engaging in online drug-related transactions involving clients from Florida, North Carolina, Colorado, Maryland, Georgia, Oregon and North Dakota. Authorities said that Gomez and Tan, along with several others, manufactured fentanyl and shipped it to Canada. A thorough search of their home led to the discovery of two firearms, a Maserati and around $175,000 in cash. “Fentanyl was distributed nationally, regionally and locally through the mail or hand-to-hand transactions,” said a government official. According to the Department of Justice and the DEA, this is a major achievement in the war against fentanyl because this is the first time authorities have issued indictments for Chinese nationals involved in illegal manufacture of the drug. Law enforcement authorities across Florida are leaving no stone unturned to curb the growing menace of addiction to fentanyl, which is one of the deadliest opioids on the planet. 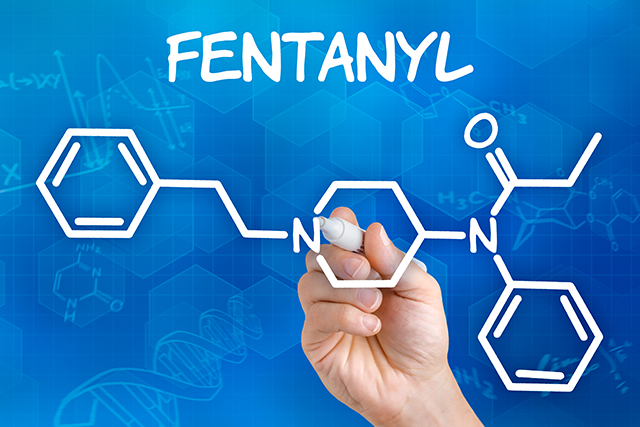 The DEA has categorized fentanyl as Schedule II drug under the Controlled Substances Act (CSA). Experts studying the fentanyl-related overdose deaths say several drug dealers across the state are lacing their heroin supplies with Carfentanil, which is a synthetic form of fentanyl known to be 10,000 times deadlier than morphine. In fact, Carfentanil, which is used to sedate large mammals such as hippos, elephants and rhinos, has become a popular drug of abuse in Southern Florida. Besides, studies show other fentanyl analogs such as acetyl fentanyl, alfentanil, butyryl fentanyl, furanylfentanyl, beta-hydroxythiofentanyl and sufentanil are also making their way into wrong hands, causing a spike in the numbers of fatal overdoses. In addition, the abuse of benzodiazepines is a great public health threat in Southern Florida with alprazolam, nordiazepam and Valium responsible for the majority of overdose deaths. Additionally, methamphetamines, crack cocaine and synthetic drugs have also contributed in great measure to the ongoing drug crisis in the state. If you or your loved one is battling addiction to fentanyl or any other substance, seek treatment immediately. The Miami Drug Treatment and Rehab Center can help you get one of the best addiction treatment programs and embrace sobriety. You may call at our 24/7 helpline number 305-615-2028 for more information on different treatment options in your vicinity.